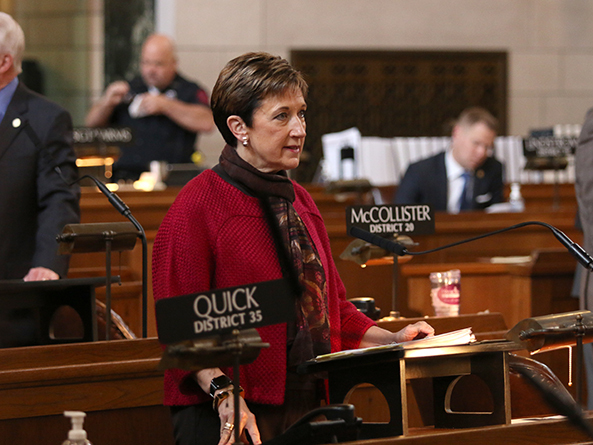 LB390, as originally introduced by Lincoln Sen. Patty Pansing Brooks, would have required the Nebraska Commission on Law Enforcement and Criminal Justice to develop a model policy for school districts that employ school resource officers. The bill does not require the hiring of a school resource officer, Pansing Brooks said, it simply ensures that if a district decides to hire one, it employs certain best practices. 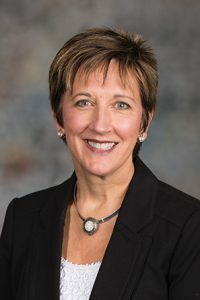 “LB390 will make sure we aren’t using law enforcement’s time on disciplinary matters, but rather to enhance safety, respond to law violations and serve as a community resource for students, parents and school staff,” she said. A Judiciary Committee amendment, adopted 34-0, replaced the bill. As amended, LB390 instead would require the state Department of Education to develop a model memorandum of understanding that would govern the use of school resource officers or security guards, beginning Jan. 1, 2021. The MOU would include training requirements for all school resource officers or security guards employed by a district as well as at least one administrator. The training would include at least 20 hours focused on school-based law enforcement, student rights, understanding students with special needs and disabilities, conflict de-escalation techniques, ethics for school resource officers, teenage brain development, adolescent behavior, implicit bias training, diversity and cultural awareness, trauma-informed responses and violence prevention in school settings. The school district would be required to maintain records of each student referral for prosecution by a school resource officer, including the reason for each referral and federally identified demographic characteristics of each student. A district also would be required to identify when a parent or guardian would be notified if a student is questioned or interrogated, and under what circumstances a student would be advised of their constitutional rights. Each MOU would include a complaint process for students and parents to express concern about a school resource officer or his or her practices. Under the amended bill, school districts would have the option to develop individual MOUs, but they must be substantially similar to the one distributed by the department. Any district required to adopt an MOU, also would be required to provide a copy to the department or publicly post it to the school district’s website.